It’s estimated that the number of people who have ever lived could be more than 115 billion. Considering the history of the human race spans hundreds of thousands of years it’s amazing to think that, today, there are about 7 billion people alive worldwide. This is clear evidence that the world population has been steadily increasing and, in recent years, the data collected shows it rises almost exponentially in some parts of the world. Population growth due to birth rates has started to level off over the last century. The world saw an annual 2.2% rise in population during the 50s and 60s. This figure has steadily fallen and we now see an average rise of about 1% per year. 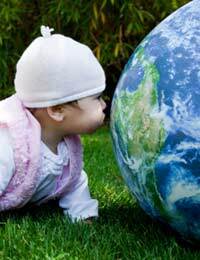 During the 1990s there were about 173 million births every year worldwide. In 2010 the figure was 140 million per year and it’s widely agreed that this will not change significantly over the next decade. At the other end of the spectrum, however, people are living longer thanks to modern medicine and improvements in living condition – so the overall population continues to rise. Even with deaths totalling 57 million a year at the moment, and 80 million by 2040, we can assume that the total worldwide population by 2050 could be nearly 10.5 billion. The total population of the world in 2011 is split between the different continents. Asia is the most heavily populated with 60% of the world’s population – 4 billion people – living there. China and India together account for over 37% of the world’s population. Africa has another billion people (15% of the total world population) and Europe has a whole has 730 million people. North America and South America make up 14% together, with 352 million people in North America and 590 million in South America. Just 35 million people live in Australia, which is about 1% of the world’s population. In the UK alone, the population has doubled every 50 years since the 19th century, mainly fuelled by the Industrial Revolution. Before this time, 75% of children who were born died before they were 5 years old. This figure had fallen dramatically to just 32% only a century later. Improvements in sanitation, medicine and healthcare, vaccination and education meant population figures began to increase as the risks of infectious disease were reduced. The population figures since 1800 show an increase of 6 billion in just 200 years. Most of this increase in population (an extra 4 billion people) has happened since 1960. Despite the overall increase in world population, there are some areas that see negative population rates, such as Eastern Europe and Japan. These regions may have lower fertility rates, or this may be due to cultural issues. What if Population Carries on Growing? Naturally people are worried about the threat this population increase may pose to our environment. It’s commonly believed the demands of more than 10 billion people (which will be the world population by 2050) will have a dramatic effect on global warming, pollution, atmospheric quality and natural resources such as fossil fuels. We are already seeing a big hike in prices for commodities related to fossil fuels because of demand outstripping supply. The UN believes that if the population continues to rise it will be unsustainable, especially in developing countries where the growth rate is highest but where the people are more affected by not having enough food and other resources. A particular concern is Africa where the population is predicted to rise by 150% in the next 90 years.